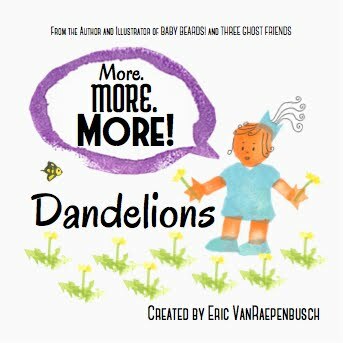 Eric VanRaepenbusch, Author-Illustrator, Storyteller, Blogger: Baby Beards Part 8: If anyone tells you making a picture book is easy THEY ARE WRONG! 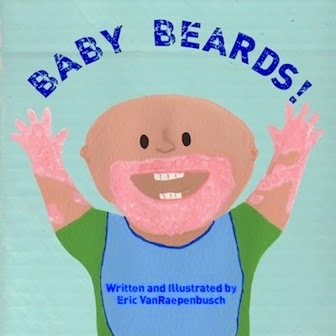 Baby Beards Part 8: If anyone tells you making a picture book is easy THEY ARE WRONG! LOWEST PRICE EVER ON AMAZON - $7.25! Pick up a copy today! Let's show Amazon that we love this price! 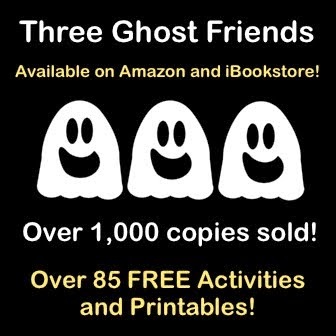 ON SALE TODAY (7/8/14) - Only $7.25 for paperback + Kindle download for FREE! The hardest part of this whole project was the end. I even stopped taking pictures of the process. I am sharing the struggles and troubles I had completing this book not to complain and whine but to provide hope and inspiration for those of you working on your own projects or working towards goals. I encountered many difficult and lonely times while working on this project. 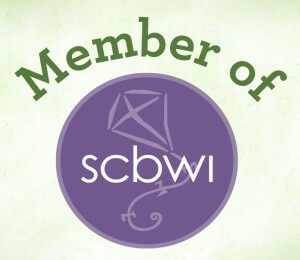 But, overcoming each one made my book better and made me a stronger and more confident author and illustrator. I struggled painting the dog most of all. I couldn't get the color the way I wanted it. The dog actually started out dark brown. I am so glad my wife suggested a lighter color. Once I got the color right, I needed many poses of the dog because it is on every spread in the book. All my kids have loved books Have You Seen My Duckling? and Who's Counting? by Nancy Tafuri. 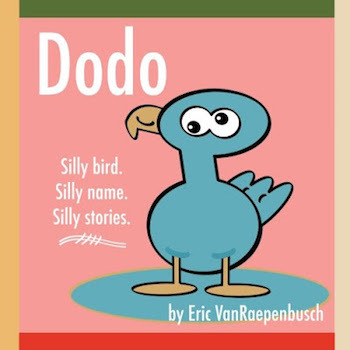 She is really good about having the main animal character in different places and perspectives on the page which lends to a seek-and-find dialog between the reader and the child. 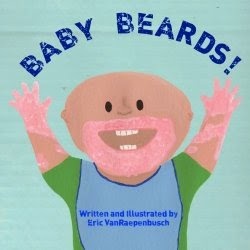 I really wanted this for Baby Beards!. 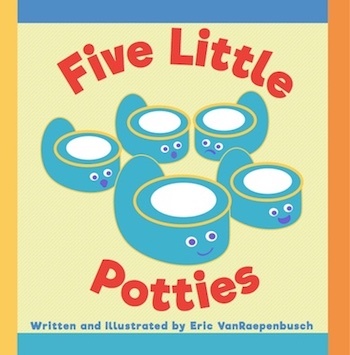 My goal was to create a book that a parent and very young child could have a conversation while reading. To achieve this I needed over a dozen different dog paintings. I struggled with the shading on the baby's face. I think I repainted every single face at least once. When I was doing the final edits I looked at some of my food items on the healthy food pages and I just didn't like them anymore. I had to redo those too. I would find mistakes and typos when I thought I had already found them all. I kept saying to myself, "I have spent months with these pages. Why didn't I see this before today! Arggghh!" Checking and rechecking for consistency was a nightmare. This was probably the hardest thing about the whole book. I needed to make sure elements of each scene carried through the whole thing. If there was a spoon in the baby's hand on the first page of the scene then it needed to be there on the other pages too. If there was spinach flakes in the bowl of brown rice then they needed to be on the bib and on the floor. I checked and rechecked everything dozens of times. I loved the writing and brainstorming. I loved the painting and creating. I loved see the book come to life on my basement wall. The final editing and adjusting and perfecting was driving me batty. 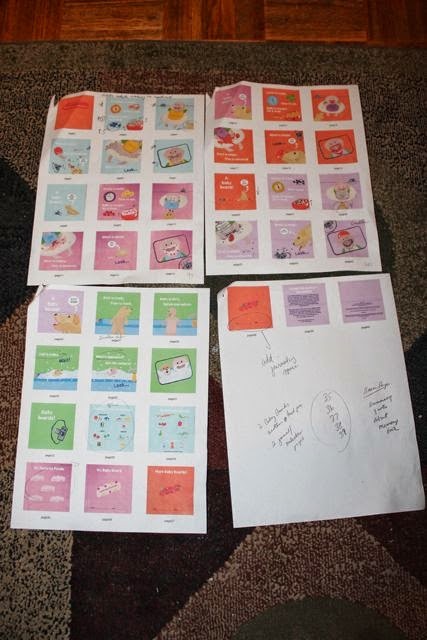 I started to say to random people "If anyone ever tells you that making a picture book is easy. They are WRONG." It was a draining process. 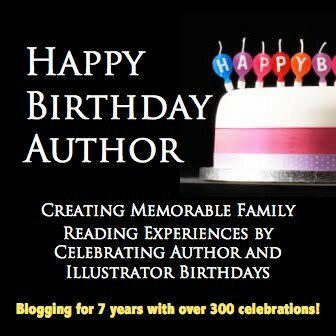 I was overwhelmed with taking care of my children, writing my Happy Birthday Author blog, and finishing the book. I was anxious that I wasn't going to be able to put it all together. I worried about how my artwork would look in print. Baby Beards! consumed all of my thoughts. After I made the changes suggested by my writing critique group, I poured over the images and text for days. I needed a new set of eyes. I contacted Beth Stilborn of Flubs2Fixes for copy editing services. Her price was VERY reasonable and her response time was fast! It was one of the best decisions I made to turn to someone else for help. I highly recommend her services! There was one more call I was waiting for before I entered the final phase of publishing the book with Createspace. I was awaiting a call from my brother-in-law, Todd Zverloff. He is also a self-published author and understands the anxiety of publishing a book on your own. I really value his feedback. He and I have been bouncing ideas back and forth to each other for over a year now. I can't tell you the relief I felt when he called to say that he thought the book was ready to go. Once, I had his seal of approval I knew it was time to upload the book to Createspace. I was dreading this phase. Not because the process is hard -- Createspace's web software is actually very easy to use -- but because I knew I needed everything to be just right. I worried about the gutter of the book. Were my illustrations going to fall too far into the middle of the book? Was the artwork going to transfer over correctly? Had I made all the right choices about my illustrations? Would I have to redo the artwork? Unfortunately, I needed to adjust almost every page of my digital artwork to make it fit within the margins and not fall too far into the gutter. Then, I stayed up until 3am the night I uploaded the book, just to make sure it all got there correctly. Overall, the process was not as bad as I expected -- two days of making adjustments and 4 digital proofs later I was ready to submit for my print proof. Next, it was time to wait for the proof book to come in the mail. Will I be happy with the book? Will I look back at all the difficult and lonely times as no big deal because the book came out exactly the way I wanted? Find out in tomorrow's post -- Post #9!